In this young reader novel, ten-year-old Jeanie Leclare has just moved to the West Coast from Saskatchewan. She’s desperately lonely and longs for a new friend. When the girl sitting in front of her at school seems friendly, she feels a little better. Then an excavator arrives and demolishes the cute house next door. Everyone, including Jeanie’s new friend, Isabelle, is aghast. But Jeanie has a secret, a secret that she knows will turn her new classmates against her. At recess time, the excavator heads for a huge and beautiful cedar next to the school. Isabelle leads a band of kids, including Jeanie, to stop it. That’s when they discover Jeanie’s secret: the contracting company that destroyed the house belongs to Jeanie’s uncle and father. 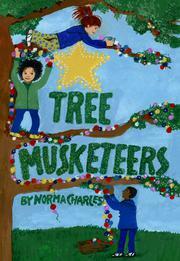 Jeanie promises her new classmates that she’ll do whatever it takes to protect the cherished tree. Trouble is, she can’t convince her uncle and father to agree not to cut it down. So now it’s totally up to Jeanie, Isabelle and their classmates to come to the cedar tree’s defence. They are the Tree Musketeers.